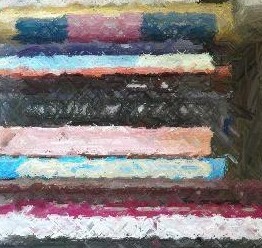 The Nightmare of Choosing Homeschool Resources! 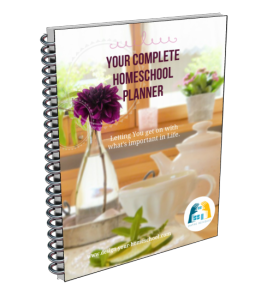 Do you freak out at the idea of choosing homeschool resources yet again for another year? Honestly, is it a nightmare for you or do you just thrive and get so excited seeing the glossy covers, the neat boxes, the faces of joyous children that you just run totally wild spending far more than you ever bargained on spending? Is there a way to choose resources 'wisely'? Home educating families need resources, and there is no way that I am against curriculum and beautiful home school resources. There are heaps of great programs, ideas and wonderful tools to help us make our job of educating our children fun, interesting and educational. However, I am somewhat disappointed to find more and more pre-packaged curriculum materials out there for age/grades directed to homeschooling families. The beauty of homeschooling is that we can be unique, our families are unique, our children are unique – we recognize that children do not necessarily fit the mould – if that is true – why are we jumping in on the bandwagon and buying resources as though we are buying for a school mindset? The internet is a wonderful and extremely useful resource to homeschooling families. There are incredible resources out there. Yes, it is a bit of an effort to find what is out there (I am currently improving my site and adding more helpful websites) – and I would encourage you to explore options. 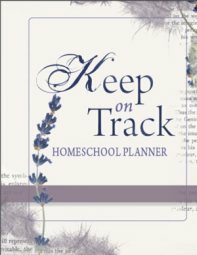 Feel free to let me know of sites which are informative and useful to you as a homeschool family – providing resources and ideas to stimulate thinking. Rather than placing a child in an online school – use the resources that are out there – so many videos and lectures are available for free – so use and explore interest areas in this way; Help your children to find answers and develop research tools to gather, understand, and apply what they have learned as well as critique what they read. When my child has expressed interest in an area – we search for materials together. One of my sons decided he wanted to learn a computer programming language and as he investigated, he found a huge amount of free video tutorials – and has created his own curriculum around it; He used Coding4fun as a way to investigate his interest. He has created an order of what he’ll watch and when, and then move to another site which goes into more depth. One of the sites he showed me had a paid subscription – and that is fine – if it is the information he is needing at the time; He’ll be busy for a few months learning what interests him! I can see the benefits of some structured online learning especially for the older students - university courses, individual courses and so on, but I would not want to see homeschooling as children learning in a virtual world, independent from the rest of the family for each subject for all their school years. If that is the trend, we need to ask, “Why exactly are we homeschooling?” Academics may be one reason, but I would find it sad if that was our ultimate driving force in our homeschool decisions. I just loved reading this article entitled, "God's Theory of Education" about choosing resources at the latest curriculum fair. As the homeschool Dad reflects on the abundance of materials at the recent curriculum fair he attended, he states, “I could educate my child with anything in this room.” Earlier in the article he mentions a young girl who was educated by her father (in the woods) with a Bible and an old set of encyclopaedias. Rather than complicating our children’s education – we should be creating space, time and focus on the tools of learning whatever it is they need to know. As parents, our role is to educate (educare: to draw out), to meet with the individual God has given us, learn who they are, encourage, guide and lead them to be who they are – for God’s glory and to walk in the path He has laid for them. But ... what so often drives us is FEAR! It’s fun to ‘play’ around at school for quite a few years, and then suddenly, Fear steps in and we really wonder, “Have we done a disservice to our children?” We become anxious, read the curriculum materials, the scope and sequence and bury our heads in shame! “There are so many gaps!” What do we do next? ….. Send them to school? Perhaps. Or take on the school mindset of getting through this or that course book – to pass the university exam. Is college/ university entrance a route you want or need to take? Ken Robinson in his TED Talk on “How schools destroy creativity” brings up the idea of academic inflation. When we grew up, it seemed that if you had a degree, you could get a job. It isn’t like that now – you will need to get a Masters of a PHd to get the job. Almost everyone has a degree – but does that mean we are really more educated? This is not preparing for the future –but rather just increasing the glut of professors in our societies. He purports that we need to allow our children to think creatively using all the facets of their bodies and not just their head. We need creativity and people who are following their passions and interests and coming up with new ideas and new ways to work. In the Thomas Jefferson Approach, the authors also conclude that our approach to education is based on a model which was created to suit a conveyor belt mentality to prepare factory workers. In his book, he stresses the importance of Leadership Education – also interest driven, driven by time not content and built on a mentor model to discuss great literature and thoughts of western civilization. See more about the Thomas Jefferson Approach here. Much is also written as a caution when considering university education – Are there alternatives and ways to avoid a godless university education and find new ways to be educated in higher learning? Clark and Sally Clarkson, authors of many books, including, “Educating the Wholehearted Child,” also encourage us not to conform to the worldly standards, just to fit into the mould, but to consider ways in which we can prepare our older teens to pursue their education in other ways. We should not forget to promote entrepreneurship – and create the leaders of the future, with clear goals, following their interests, strengths and passions – seeking to bring the glory to God in all their endeavours. How are we preparing our children for the future? So, when you consider homeschooling resources for your next school year – consider the bigger question: What will help me prepare my child to use his/ her talents and gifts, to develop them, to build on the built-in curiosity and love for certain disciplines and bring them to a place where they can glorify God and be His instrument in this world. What does it mean for you? One thing is certain: it will be unique, individualized for each family and based on your convictions, goals and the path on which God is leading your family. 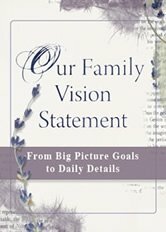 Consider writing your goals and family vision statement using "Our Family Vision Statement" to help you focus on what is right for your family.